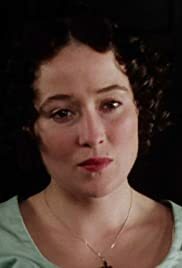 Elizabeth Bennet: Mary, pass the potatoes to your aunt Gardiner. Mary Bennet: I beg your pardon? Kitty Bennet: Oh, never mind, I'll do it. Mrs. Gardiner: Thank you, Kitty. Kitty Bennet: And that's the first kind word I've had from anyone since Lydia went away. I don't see why, it's not as though I had done anything naughty. And I don't think Lydia has done anything so dreadful either.